A new week is upon us, so it's time for a new weekly Superstar gift to be released. 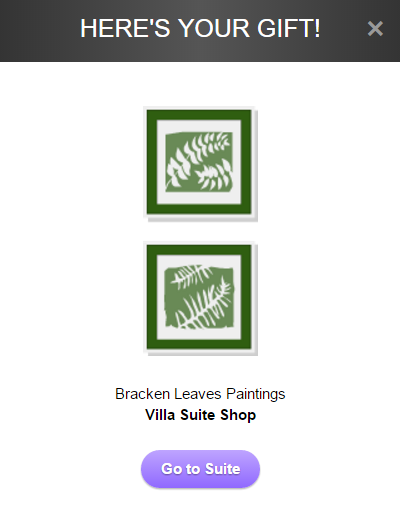 Take a look, it's Braken Leaves Paintings from Villa Suite Shop. Not my favourite item, but still rather nice. 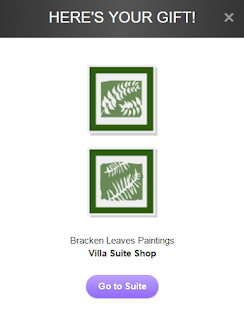 It would be ideal for suite decoration, so grab yours one today while stocks last. What are your thoughts on this week's gift?